Since its inception, the SOSF–DRC has concluded 30 targeted research projects in collaboration with 26 institutions. 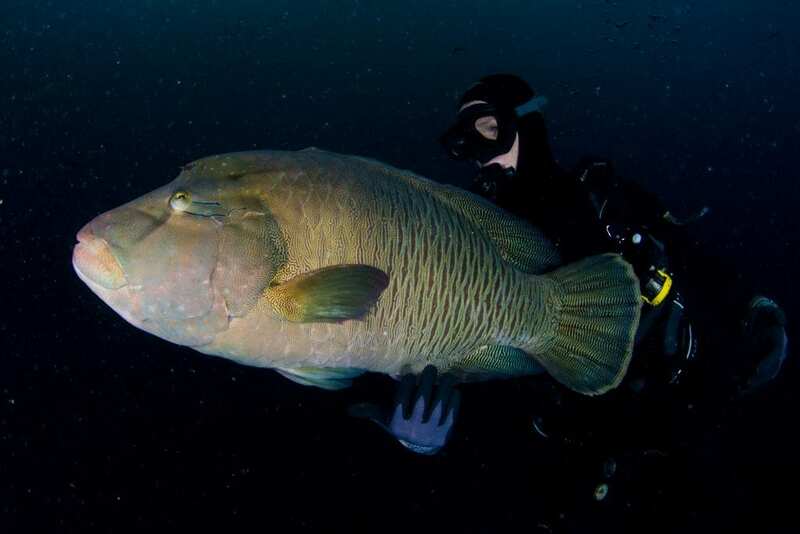 These diverse projects have focused mostly on threatened species such as sharks, turtles, seabirds, fish and corals, but have also included habitat assessments, feasibility surveys and oceanography. Habitat and resource partitioning of juvenile sharks and their roles in remote coastal ecosystems: Sharks don’t look after their babies, but they do choose a safe place to give birth. 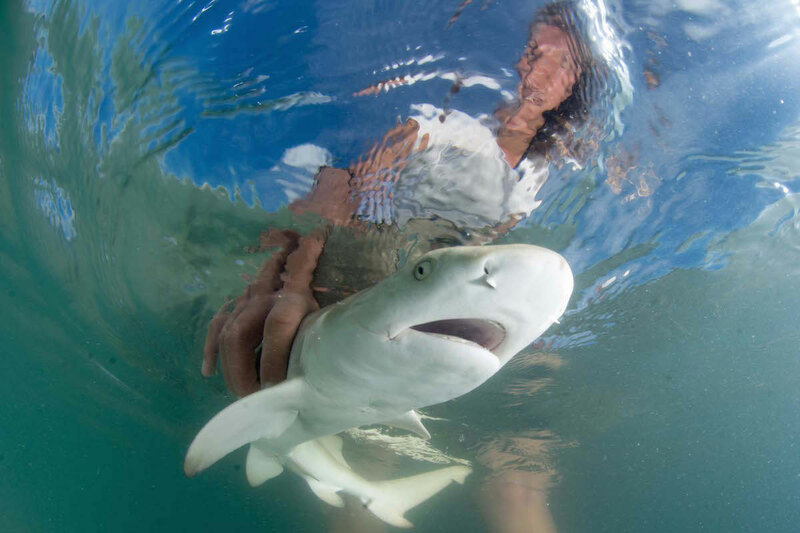 Ornella Weideli’s studies young blacktip reef and sicklefin lemon sharks in St Joseph’s lagoon to see how they get along while growing up together. Developing Tools for Classifying Shark Behaviour from Bio-Logging Data: To protect certain species of sharks and their habitats, we need to have a clear understanding about how they behave and interact with their environment. 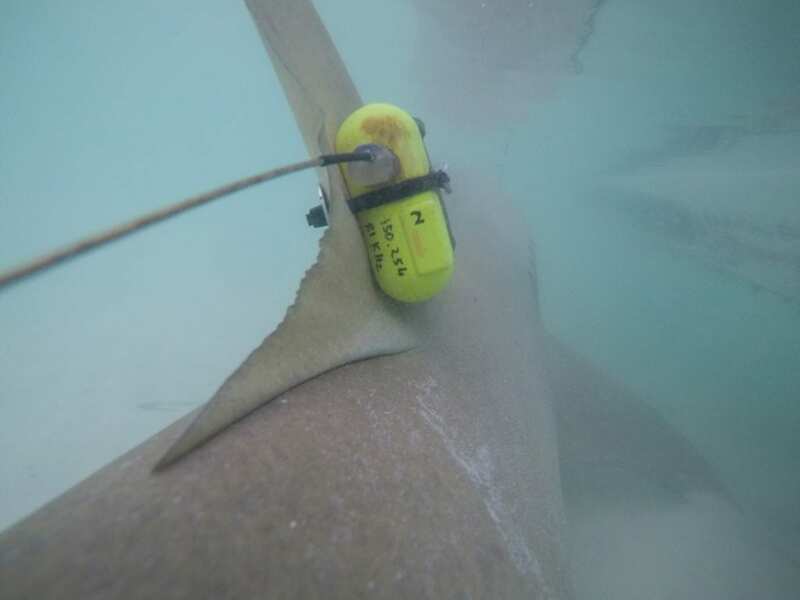 Jenna Hounslow uses accelerometer tags (technologically similar to activity trackers such as fitbits) to measure sicklefin lemon shark behaviour in three-dimensions. Movement patterns, trophic role and ecology of reef mantas in the D’Arros Island Marine Protected Area: There is a very lucky population of manta rays that lives at D’Arros Island in the Seychelles. 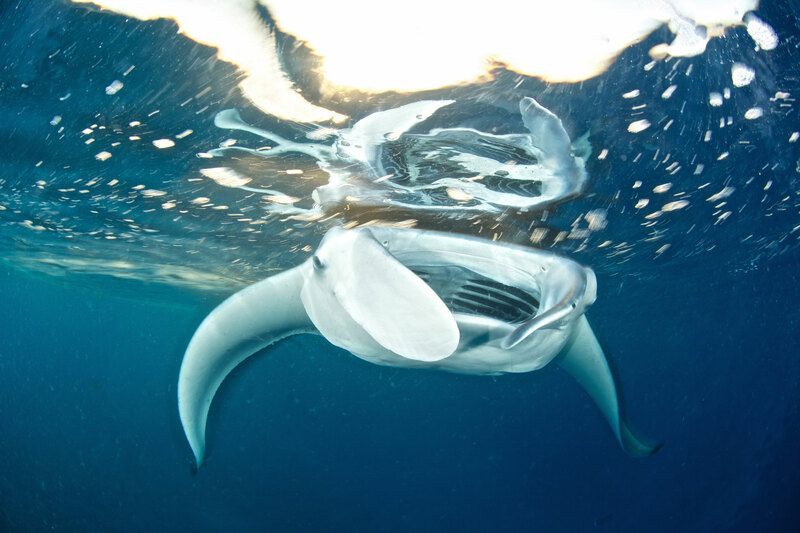 These mantas not only live in a relatively pristine habitat, but are also safe from fishing. This gives researchers like Lauren Peel and Guy Stevens a unique opportunity to learn about how these intriguing animals live when they are free from human influence. Lauren Peel’s study on manta rays is based on longterm data from the monitoring of reef mantas year-round at D’Arros Island. Baseline research conducted between 2009 and 2015 revealed the year-round presence of mantas of both sexes and all age groups at the islands and that the population appears to number in excess of a hundred. Additionally, MantaCam, a remote underwater camera system, is an important too used by SOSF-DRC to shed light on the temporal patterns of reef mantas at D’Arros Island. This monitoring project aims to contribute photo IDs to the ongoing long-term monitoring of reef mantas at D’Arros Island. 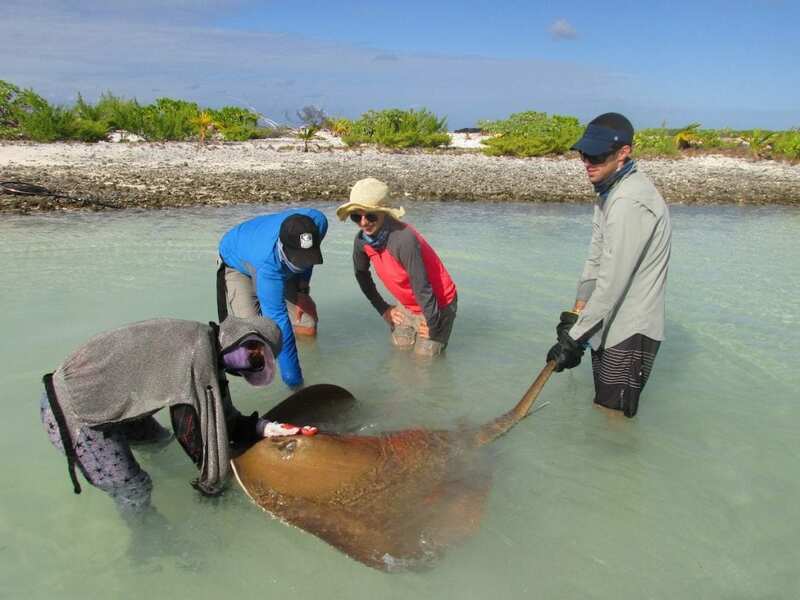 The ecology of stingrays in St Joseph Atoll, Seychelles: St Joseph Atoll is a special place in the remote Indian Ocean. It’s home to numerous stingray species, including cowtail, mangrove whiptail and porcupine rays. Chantel Elston is investigating how many of these animals there are, what they eat, where they live and how they move. 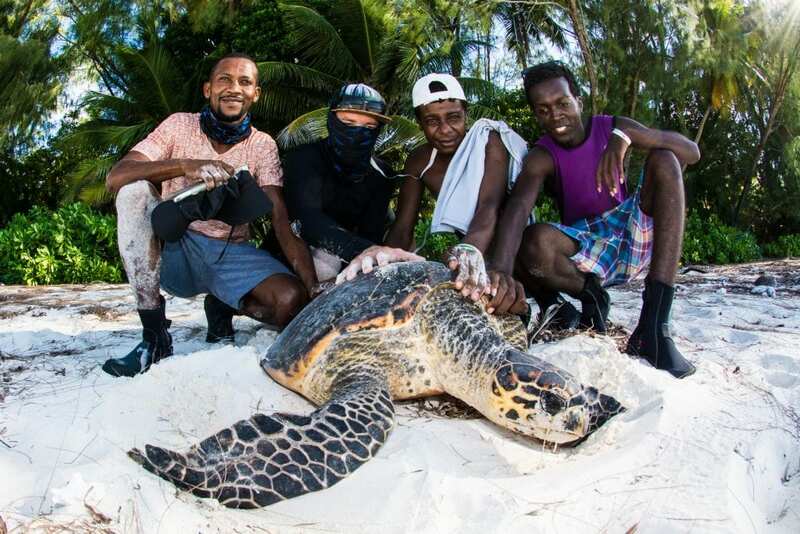 Community monitoring of sea turtles on D’Arros : The beaches of D’Arros Island and St Joseph Atoll are very important places for mother sea turtles to come and lay their eggs. 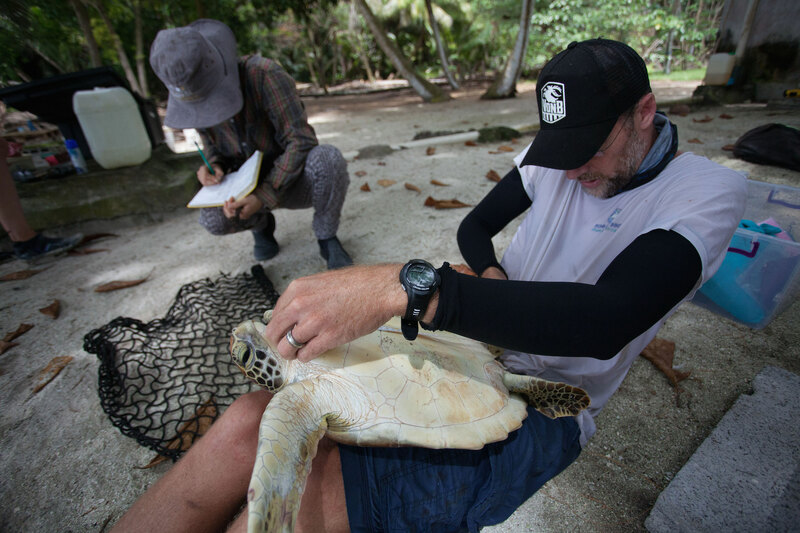 Jeanne Mortimer is training Seychellois monitors to observe nesting turtles and collect data about them. Growth rates, movement and population size of resident juvenile hawksbill and green turtles at D’Arros Island and St Joseph Atoll: The objective of this study is to gain a better understanding of population numbers, demographics, growth rates and movements of juvenile turtles foraging at D’Arros and St Joseph. Both hawksbill and green turtles recruit into the neritic environment when they attain approximately 35 centimetres in carapace length and will remain there for up to 10 years or more. Rainer von Brandis leads this study. 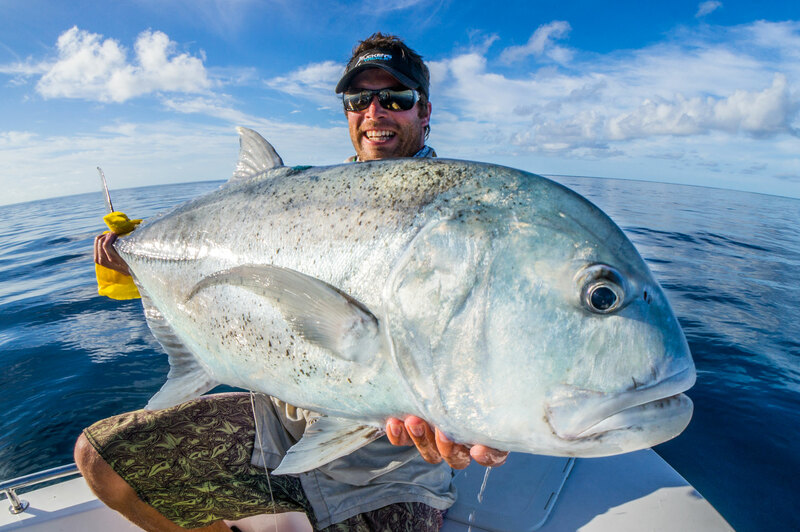 Behavioural ecology of bonefish and permit at St Joseph Atoll, Seychelles: Bonefish and permit fish, prized by recreational fly fishermen (and sharks), are abundant at St Joseph lagoon in the Seychelles. Using acoustic telemetry, Emily Moxham and Paul Cowley are investigating their role in the ecosystem and whether they recover after catch-and-release. Also making the most of the acoustic telemetry array around D’Arros Island and St Joseph Atoll, SOSF-DRC has tagged 20 humphead wrasse. Future targeted research projects at D’Arros are subject to the approval of the Save Our Seas Foundation’s advisory board on an annual basis. All projects are required to have significant conservation value and preference will be given to those that focus on threatened charismatic mega-fauna.